Named for its plain white walls, the White Walls gallery takes a backseat to the real focus: the work of artists. 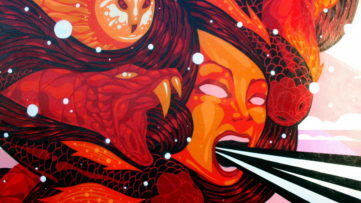 This time, the gallery will present a solo show by San Francisco-based artist Chad Hasegawa. 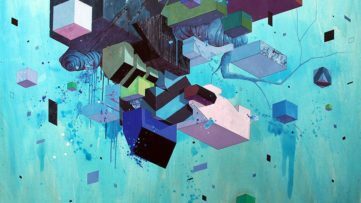 With this show, Hasegawa communicates his desire to paint with a less structured approach than his previous show ABSTRACTS FROM. 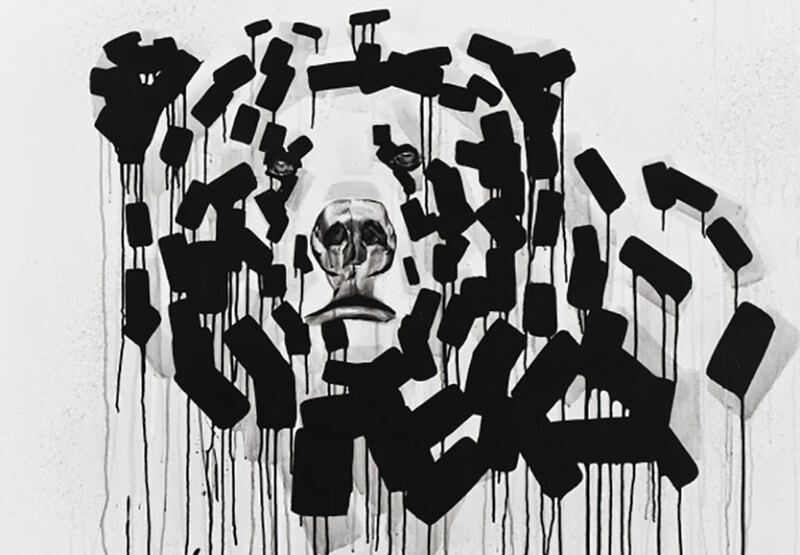 Among the 23 paintings are four abstract pieces, which act as the culmination of the artist’s intention to bring more spontaneity to his artistic practice. The exhibition will be on view from March 15 through April 5. 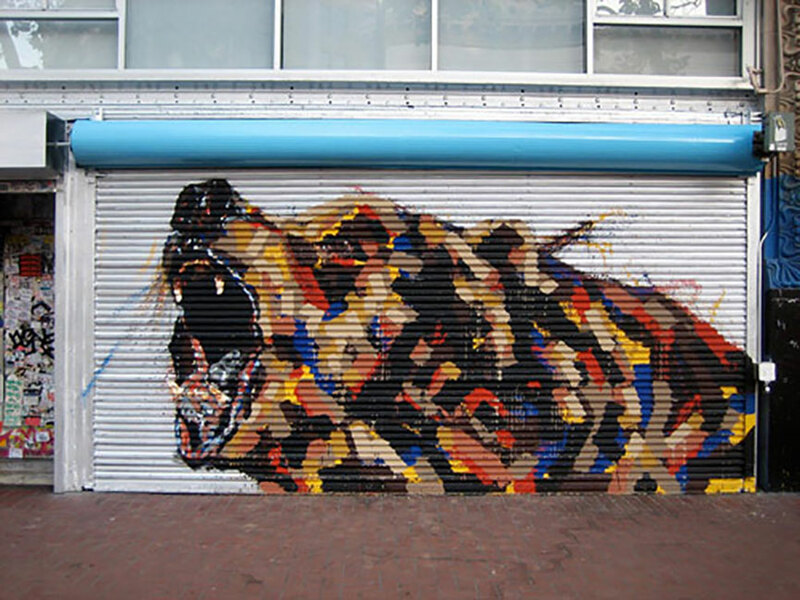 Hasegawa took up mural painting on the streets of San Francisco after he left the advertising world. 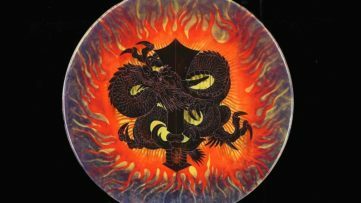 His designs were created out of thick laid brush strokes of bold colors, almost to resemble mosaics, clearly visible when viewed from a far. His use of color aggressively shapes an object. 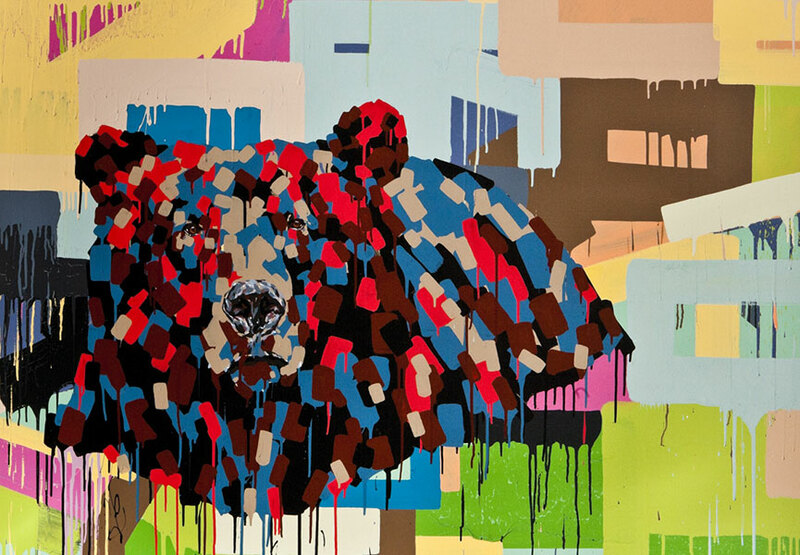 The larger picture is always a grizzly bear, wild and bold, painted in different attitudes. Coincidentally or not, California’s state animal is his primary subject. Bears are highly respected in many cultures and are considered to be ancestral spirits. Although faithfully devoted to the same subject, John always creates something new out of it. 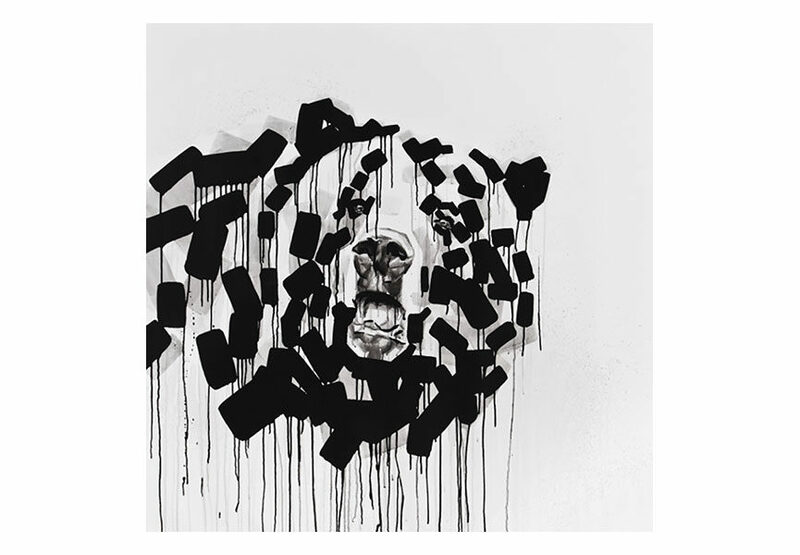 In Elite Rebels, Hasegawa depicts his trademark grizzlies with repeating blocks of black, building their shapes as if mimicking a haphazardly-balanced pile of bricks. 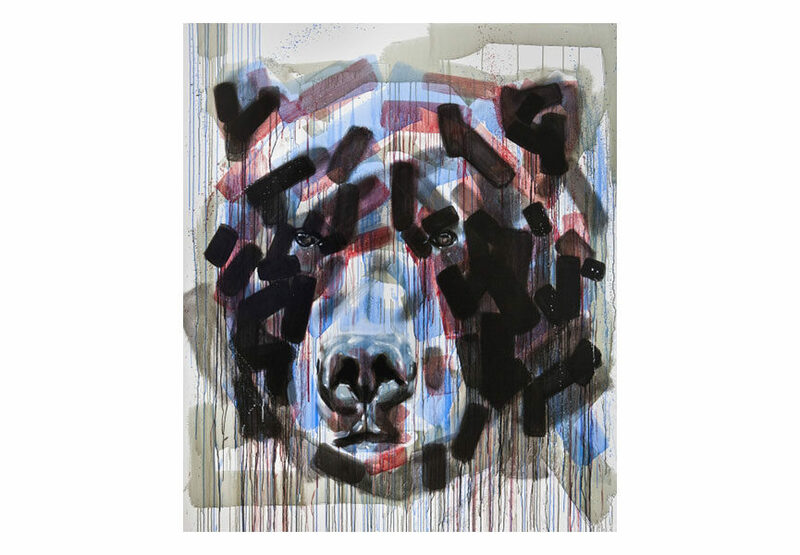 The forms appear (with eyes, nose and mouth painted in realistic detail) atop empty spaces of stark white set apart from backgrounds of flat color, some of which are stamped with the same rectangles used to make the bear’s bodies. 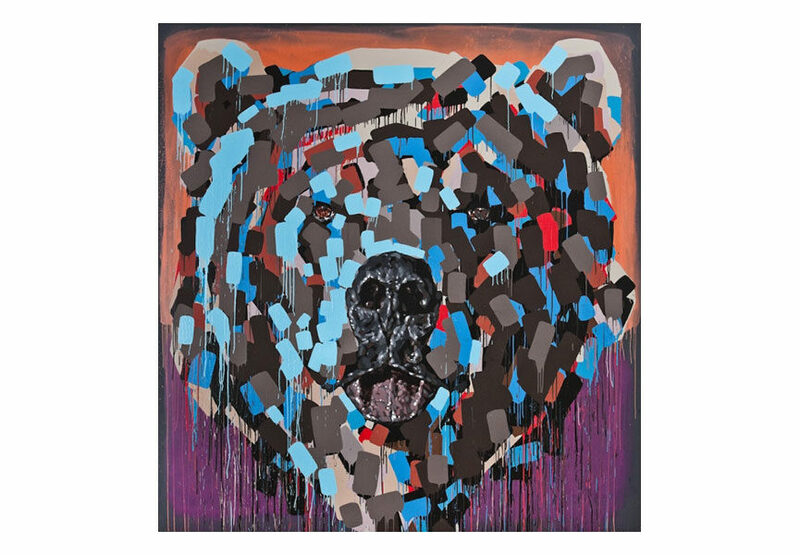 Each bear was painted as a portrait of sorts except the 2.4 x 2.4 meter showpiece, created in tribute to the artist’s father, who is a continuous source of inspiration to the artist. 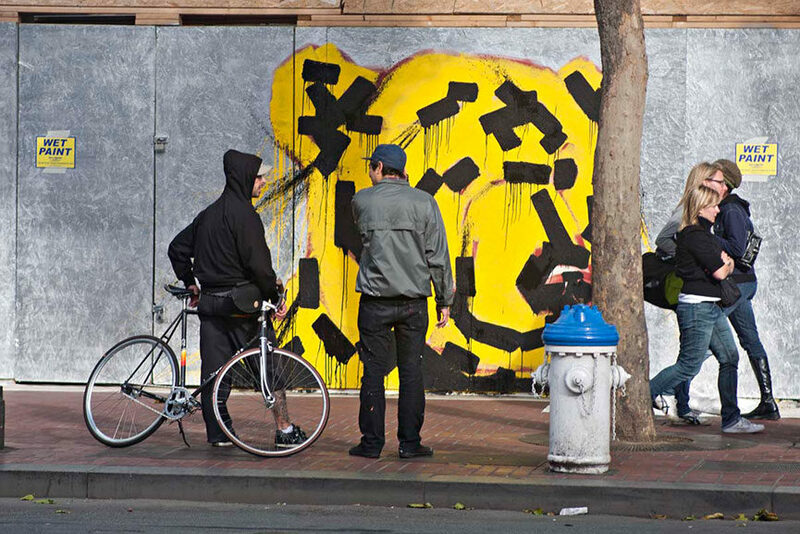 White Walls Gallery has worked for nearly a decade to exist as the premiere destination for urban art in the Bay Area. Combined with the Shooting Gallery just next door, this 370 sq meters space is one of the largest galleries on the west coast. 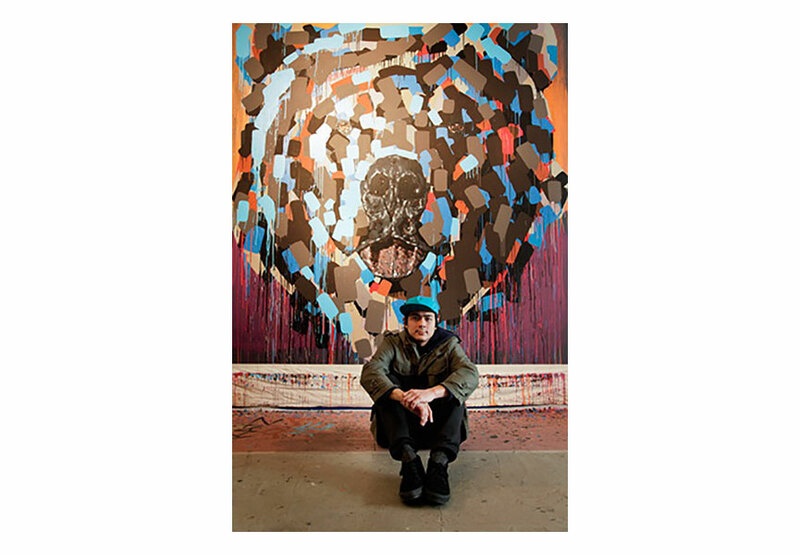 Justin Giarla founded the gallery in 2005 with a commitment to furthering the urban art movement, drawing directly from street art and graffiti culture. Vertical Gallery Celebrates 2 Years!